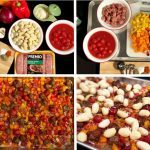 1 package potato gnocchi, 18 oz. 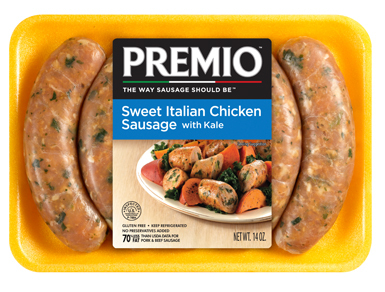 Craving an Italian classic complete with sweet, tasty meat and spicy vegetables to satisfy your palate? 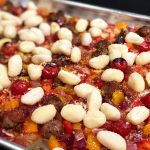 If you have a taste for Italian favorites with a twist, this flavorful sausage and pepper gnocchi dish is perfect for you. 1. 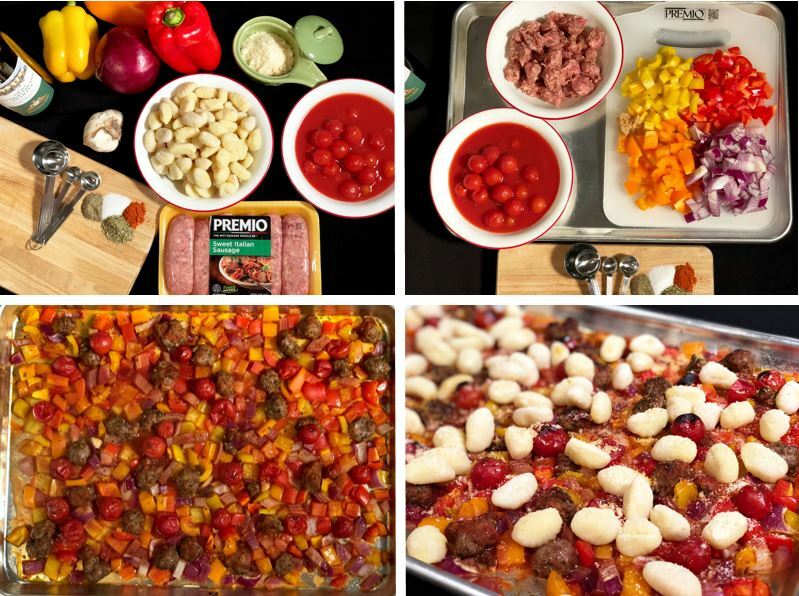 Preheat your oven to 425°F, then toss sausage, peppers, onion, garlic, oregano, cayenne pepper, olive oil, salt and pepper on your sheet pan. Empty your cans of cherry tomato over the top of the mixture and shake gently to combine. Bake at 425°F for 18 to 20 minutes until vegetables are tender and meat is cooked. 2. 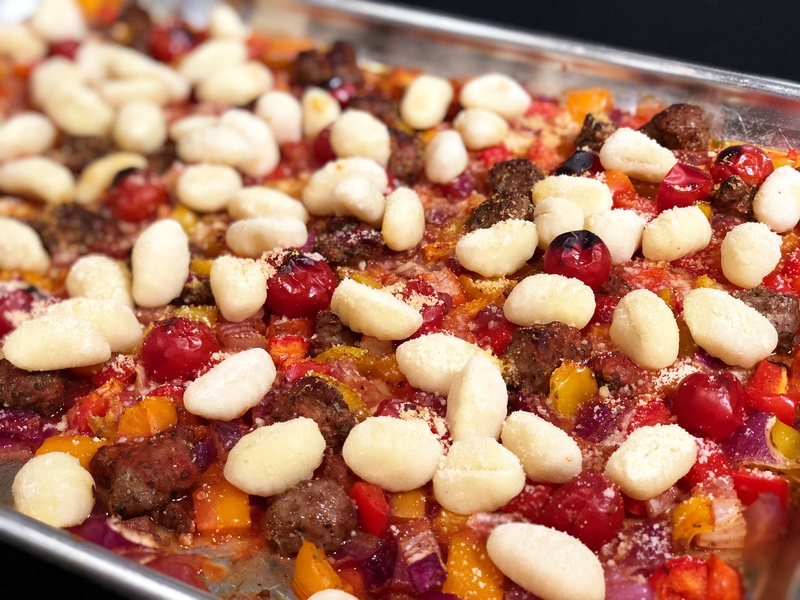 Toss together your gnocchi and parmesan cheese with some salt and sprinkle over cooked sausage and vegetable mixture. Turn the oven to broil for three to five minutes until deeply golden brown. 3. Separate into even portions on plates, sprinkle with parsley and parmesan and enjoy this subtle, spicy sausage and potato dumpling meal for the whole family. Serves four. 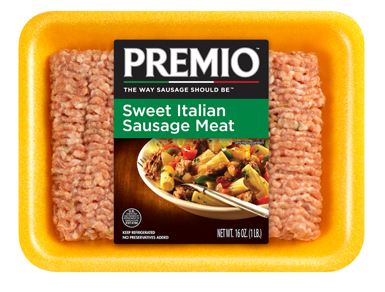 Love the flavor and fullness of our premium Sweet Italian Sausage? 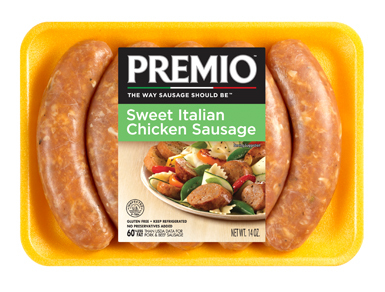 Add Premio sausage into every delicious recipe. 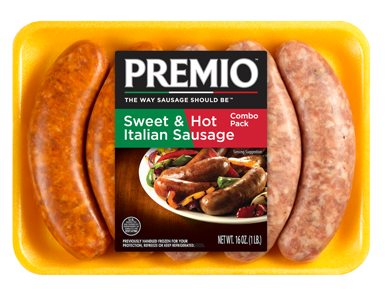 Find our delightful sausage varieties in a store near you.